The world around us is asynchronous and the events that happen in the world can be captured into events or data streams. Reactive programming is about programming with these event streams. When we apply this programming paradigm to business applications which are primarily based on events, we can build applications that are more agile and highly extensible. Lately we see an increase in adoption of event-driven architecture with microservices based applications. This is mainly because SOA and client-server architectures are naturally event driven. During the session, we will look at the core concepts of event-driven architecture and how you can use it to design reactive applications. Joseph is currently involved in architecture efforts of the Ballerina programming language. He was previously a part of various projects related to WSO2’s API management platform. 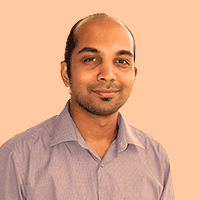 Prior to WSO2, he worked at Respere Lanka (Pvt) Ltd as an architect where he was involved in developing solutions for global customers.